There are three forms. Choose the one that applies to you. Family Membership – For persons whose family members will also be performing in the band You may enter up 4 additional family members on this form. Existing members in good standing: If you are already a member of Windmore Foundation for the Arts, band membership is already included in your Windmore membership. Please still fill out the appropriate form. Also, once a member of the band, you have benefits toward other Windmore programs and will not be charged an additional membership fee. 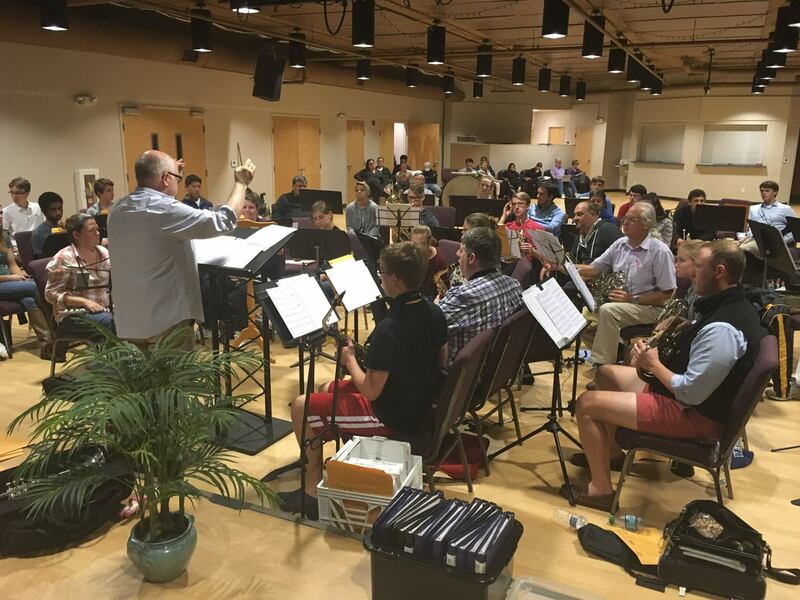 Rehearsals for Piedmont Community Band of Virginia are on Sundays at Culpeper Baptist Church from 6:30 pm – 8:30 pm. Musicians of all ages are welcome. The Piedmont Band of Virginia has had many performance opportunities throughout the year as either ensembles or the full band. Conductors Dave Detwiler and Colton Henry have chosen several pieces of exciting music to start off the new season. This dynamic band rehearses weekly on Sundays at Culpeper Baptist Church.